Which of these stories do you think are TRUE? Well, lucky for you folks THIS IS AMERICA and D. All of the Above ARE, in fact, TRUE. 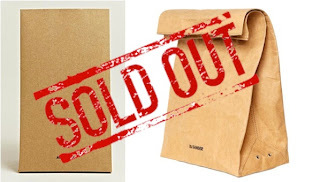 C. A Paper Bag costing $290 could actually sell out online in ONE WEEK. D. Enjoy the rest of your week, folks.. I'm going to go bury my head in the sand now. 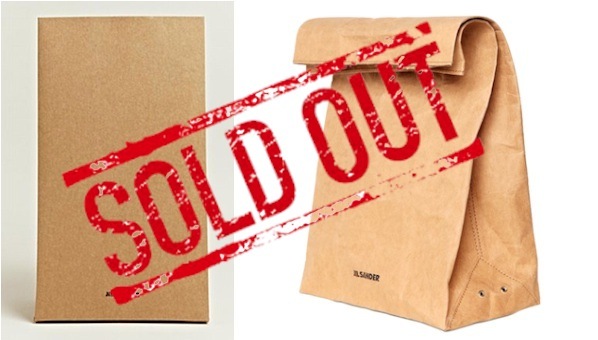 Courtesy of Jil Sander and Daily Mail <-see paper bag in action on the runway. No Joke.